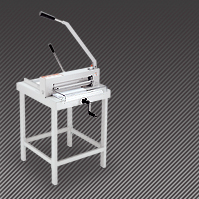 Paper Cutters, Paper cutters for Commercial, In-house print shops, schools, Copy Shops, churches, etc. 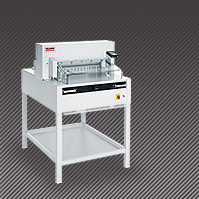 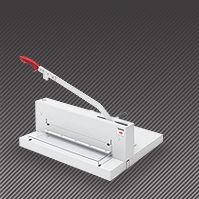 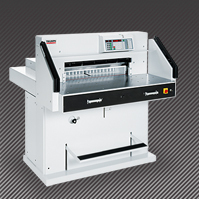 We offer a wide selection of manual and electric Paper cutters for cutting all thickness of paper. 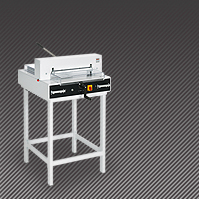 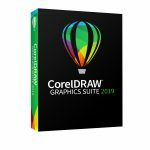 SEPS Graphics cutters are made using time proven construction methods from respected brands such as Triumph, Challenge, Martin Yale and more. Although much of the cutting technology has remained the same, many cutters are equipped with new advanced technology such as electronic control panels and programming to make accurate cuts consistently, quickly, and easily. 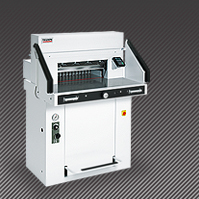 Our cutters offer the best in safety features. 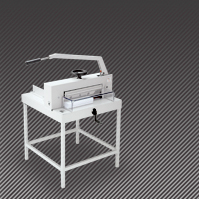 View cart “Triumph 4815 Powerful, semi-automatic cutter with electric blade drive paper cutter, with stand” has been added to your cart.